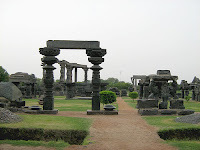 Warangal is fifth largest city in state of Andhra Pradesh, India. It is the head town of Warangal district which is made of three cities – Hanamakonda, Kazipet and Warangal itself. Warangal was the capital place of erstwhile Kakatiya Kingdom which ruled the region during 12th to 14th century. Warangal is historically known as Orugallu and Ekasila Nagaram. Prola Raja of Kakatiya Kingdom is assumed to have built this city during 12th century. There are many leftover of historic monuments, fort and Shiva temple in Warangal which belong to 12th to 14th century. 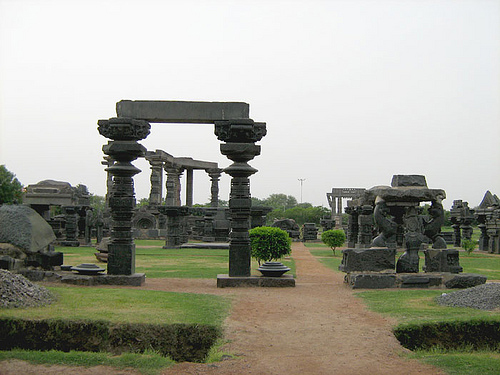 Warangal fascinates the tourists with its beautiful historical monuments, grand temples, Garden, lakes and sanctuaries. Warangal Fort, Shiva Temple and Bhadrakali Temple are the major attraction of in the city. Warangal fort is built in 13th century during the great Kakatiya Kingdom. The majestic fort has four Sanchi -style gateways and is one of the finest specimens of south Indian architecture. The fort is famous for its beautiful sculptures. There are some temples situated inside the fort. Bhadrakali is another temple to be seen in Warangal. The temple houses the deity of goddess Kali. It is situated on nearby hill of Warangal. 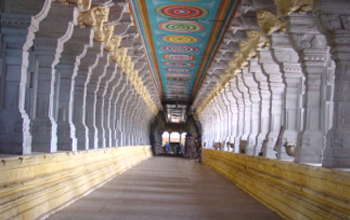 The temple is built in Kakatiya dynasty. The idol of the goddess kali is adorned with weapons in her eight hands and crown on her head. Thousand Pillared Temple is another place you should not miss on your visit to Warangal. The temple present marvel to the visitors. It has beautifully carved thousand pillars and is built in the star like structure. The temple contains three shrines of Lord Shiva, Lord Vishnu and Lord Surya. Visit the Kakatiya Musical Garden situated near Bhadrakali temple. The garden is spread over an area of 15 acres and is nice spot to spend time with your family. The garden fascinates the visitors with its musical fountains and dancing lights. It has artificial lake inside and also offers tourists boating facility. Kakatiya rock Garden is another interesting place you can visit in Warangal. 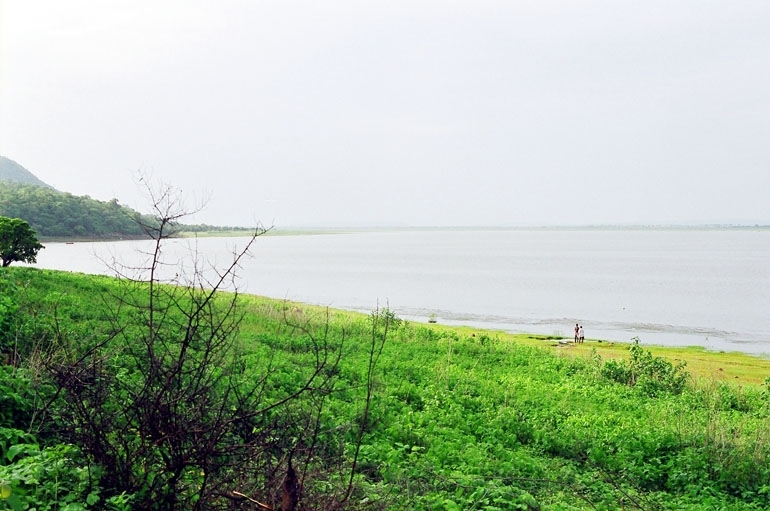 Pakhal Lake is yet another place of attraction situated near the town of Warangal. The lake is an artificial one and is believed to be built by Kakatiya King in 13th century. The lake is surrounded by beautiful nature and offers perfect spot for picnic. Padmakashi temple, Ramappa temple and Eturnagaram wildlife sanctuary are other places to be seen in and around Warangal. Rail and road connects the city of Warangal to other parts of the state and the country. Warangal railway station is well linked to Hyderabad, Chennai and other cities and towns of the country. Many state run buses and other private vehicles are available to reach to Warangal from many other cities and towns of the Andhra Pradesh state. You can also fly to Hyderabad and then move to Warangal. Hyderabad is about 140 km away from it and is well linked to other major cities of India and other countries. I Would love to go there. I'm planning to visit india end of this month.